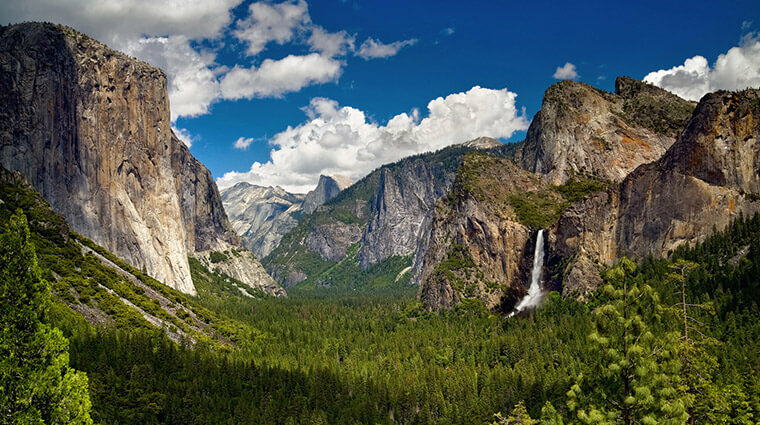 The view that Ansel Adams made famous, Tunnel View is a must stop for any first time visit to Yosemite Valley. Find it just outside the Wawona Tunnel on State Highway 41. No hiking is required, you simply park at one of the lots and make your way to the vista. This spot can be very popular in summer, so try to arrive early. From this vista you can see El Capitan, Half Dome, and Bridalveil Fall. 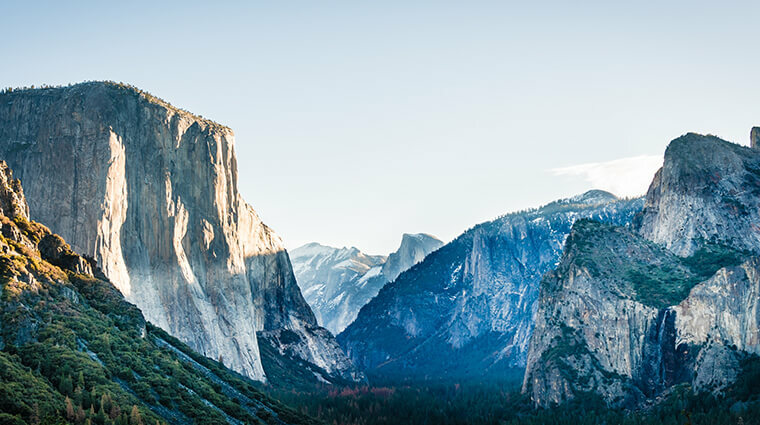 This vista changes with each season to show something new but the best times to see Tunnel View are early spring (when Bridalveil Fall is at peak flow) and winter, when the beautiful granite domes are draped in snow and mist.